Though this sort of thing risks some kind of temporal rift tearing open above a major city’s most recognizable landmark, we’re going ahead with it anyway. 1. Frederick is Free for Kindle. And not just to borrow, to own. No strings attached, just go to Amazon’s A Warm Place to Call Home (a demon’s story) page, click Buy, and it’s yours for zero dollars. Asinine, I know. Spread the word. 2. 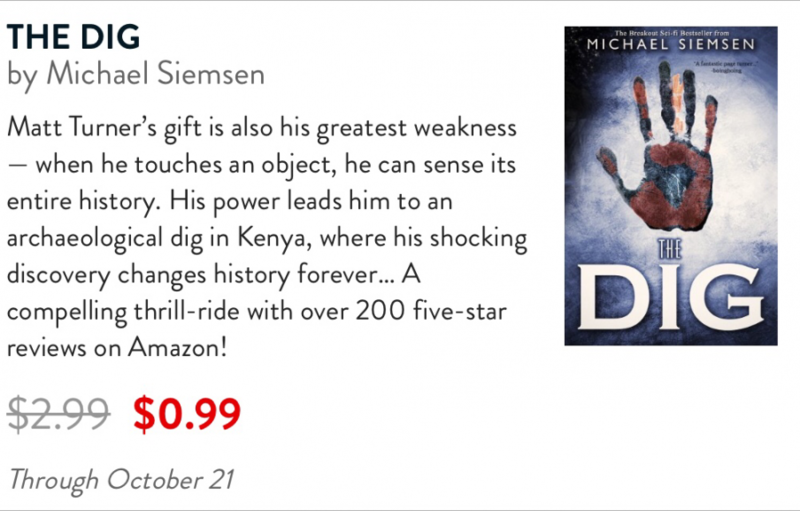 The Dig is $0.99 from BookBub, and that’s for every device: Kindle, Nook, iPad, Kobo, Blackberry (just kidding, haha, Blackberry lol). Pretty exciting for a Sunday, I know, but let’s just try to be calm and get through this thing with level heads.